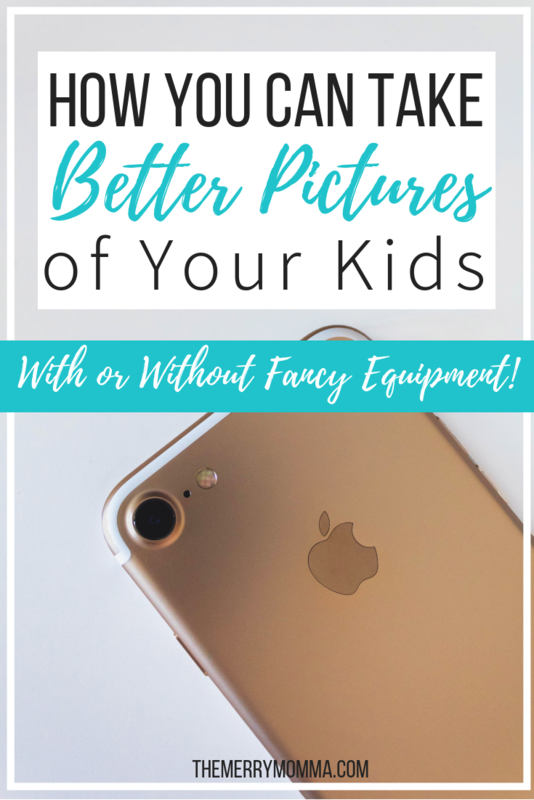 Have you ever wished you could take better pictures of your kids? Me too! Here’s how I’m learning and improving. I’ve never been a great photographer, and it has caused me a good amount of angst in my life. Such as when I traveled the world to places some people only dream of going… and returned home with lackluster photos. Or when I gathered with friends and family and never even thought to snap a picture or two. But never have I been more frustrated over my lack of skills than since having kids. Because now I would love nothing more than to take beautiful pictures of them. And thanks to a good deal of research, a whole lot of practice, and a new resource I’m going to share with you in a minute, I’m starting to take better pictures than I ever have in my life. Much of them on my phone, no less! Why is it so important to me that I take good pictures of my kids? Because I want to capture every little bit of their preciousness that I can and preserve it forever. And my former pictures just were not doing those moments justice. Oh sure, any pictures of your kids are good pictures, and they’re better than nothing. But you have to admit, we’d rather have great pictures of them if we could, wouldn’t we? 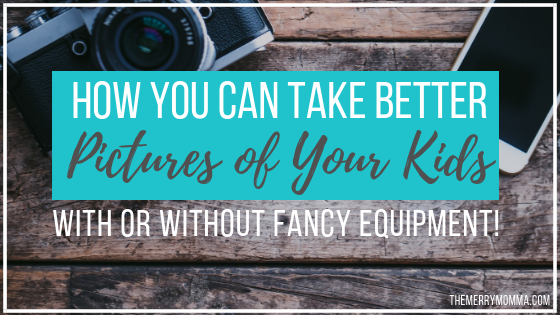 And since hiring a professional photographer to follow us around 24/7 isn’t really an option… I’m determined to learn how to take better pictures myself. Getting a better camera (aka phone)One of my goals is to save up for a DSLR camera. Until then, however, I take 99% of my pictures on my phone. And smartphones these days are capable of taking pretty good pictures! But I did notice a significant improvement in the quality of my smartphone photography when I upgraded to the iPhone 8+, especially with the dual camera feature. What’s the best way to get better at anything? Practice, practice, practice. And photography is no different. You can’t get better until you get your hands dirty. So I’m taking loads of pictures, experimenting with different light, angles, composition, and techniques. I still have miles of room for improvement, but I’m much better than I was! Finally, I’m learning to improve my photography through lots and lots… and lots of research. Google, YouTube, and Pinterest are my best friends, and I devour any blog posts I find on the subject. I truly believe that in this day and age, you can learn just about anything on your own if you know how to look for the right resources. Put those gorgeous pictures to good use — Shop Shutterfly’s Black Friday Sales! And I recently discovered just such a fantastic resource that I am excited to share with you all. 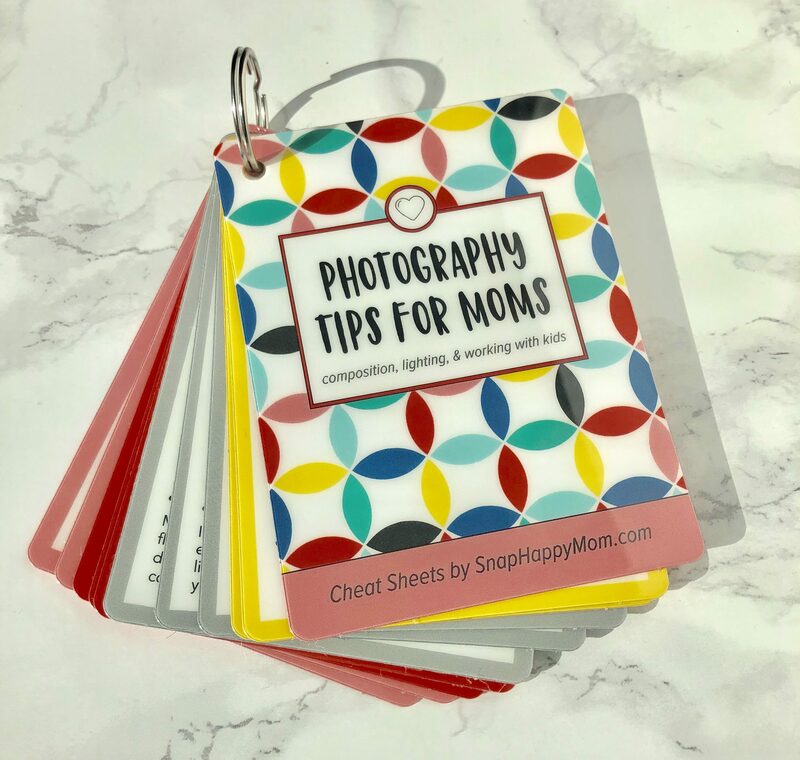 Meg from snaphappymom.com has come up with a handy and helpful solution for moms who want to take better pictures of their families — what she calls her Photography Cheat Sheets. Each set contains 11 double-sided laminated cards full of tips, held together by a metal ring. They are cute, informative, and easily slip into a pocket or purse so you can take them on-the-go. I learned so much from these cards! As I said, I’ve been doing research on the subject, so not everything was brand-new information to me. But there were many tips that I had never heard before. I’ve been trying to implement some of the things I’ve learned, and I’ve seen a huge improvement in my pictures already. There is definitely a lot of value in these cards. They are also extremely easy to follow, understand, and implement. I love how Meg is able to break down even the most technical steps into language I, a photography layman, can understand. She has taken some of the key elements of these topics and boiled them down for us into simple explanations, and I appreciate that. The size and the keyring made it very convenient to take the cards with me in my purse to pull out whenever I had a minute. They were also nice for handy reference at home. I liked that they didn’t take up a lot of space. The only issue I have with these cheat sheets is that I think they’re a little pricey. They run $30 apiece, and while I do think the information they contain is very valuable, I thought that was a bit steep. However, part of the value in these cheat sheets is that they are just that — cheat sheets. 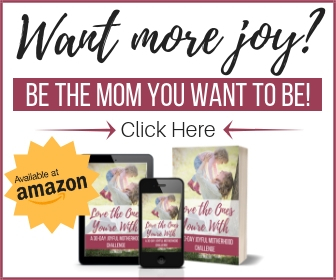 Meg has done the work of cherry-picking the most beneficial tips that moms might want to know, and that makes it easier for busy moms like us to learn and improve quickly! Also, I should mention that she does have a deal that if you buy two or more sets, they will automatically be discounted to $25 each. No promo code required. And she ships for free anywhere in the U.S. But to sweeten the deal even further for my readers, she is offering an additional $5 off per order discount that you can use on top of the quantity discount (or on a single set if you’re only getting one). All you have to do is use promo code MERRYMOMMA at checkout. 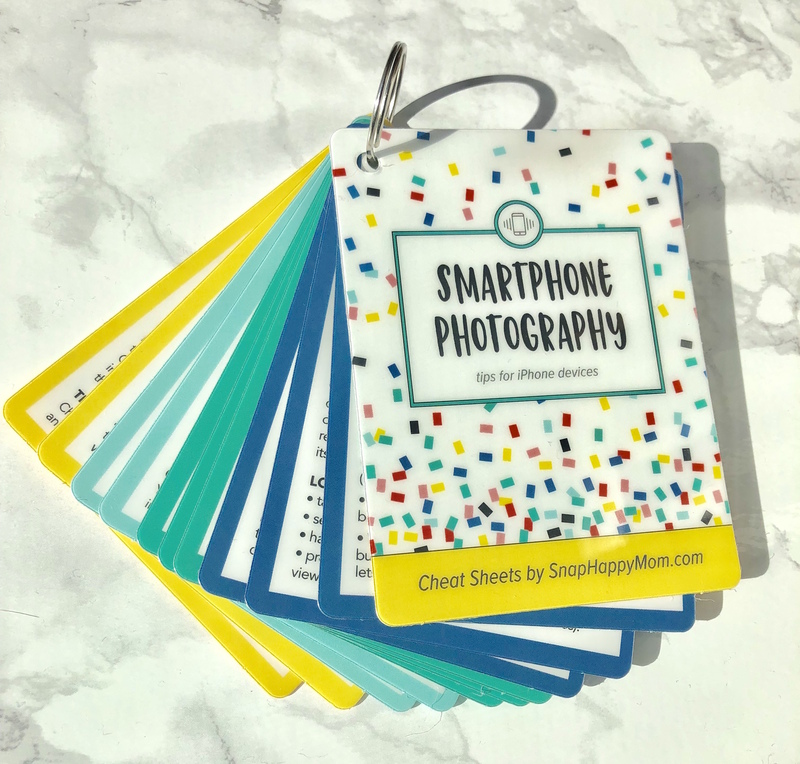 So, if you’re interested in learning more, head over to snaphappymom.com and take that first step toward taking better pictures of your kids!